So hard to believe that Branchline Brewing Company is not even two years in existence as a real business. It feels like I have been drinking their beer for years now. As employees come and go in their brewery, two things will remain the same. Number 1, these guys will always brew excellent beers, and I will always drink and support them. Number 2, they will always remain my friends, and I look forward to many more intoxicating years of this friendship! 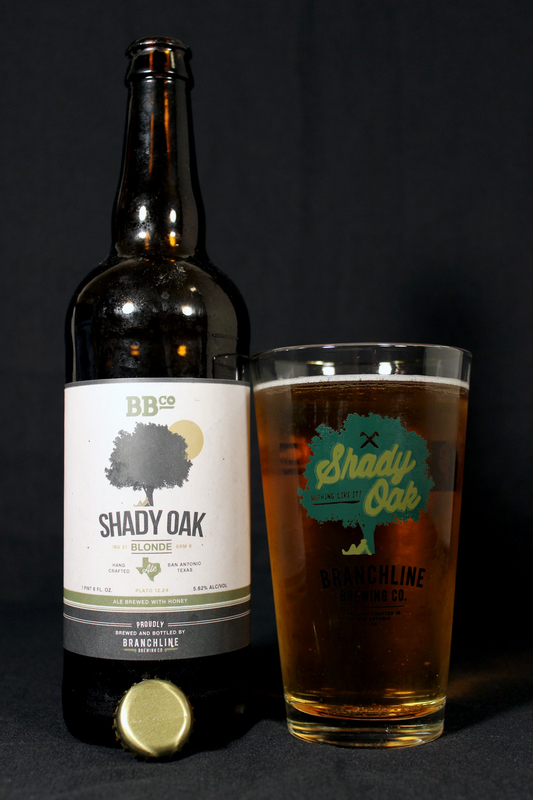 Shady Oak Blonde Ale is one of their year round offerings. I have had the privilege of drinking this beer on many different occasions at work (Big Hops), at the brewery, and now at home so I could get this review to you on my site. Using the most appropriate glassware for this session, an actual Branchline Shady Oak Blonde Ale pint glass. Shady Oak pours a clear light yellow color topped with a thin white foamy head that quickly reduced to a thin layer. Soapy ring layers were left on the glass as the beer goes down. Rising carbonation bubbles were present and plentiful. Very refreshing looking beer! The nose was subtle and light, but full of character. There was a pleasant aroma of sweet honey followed by a bundle of grains and wheat, which did give this beer a slight aroma of barrels of hay. There is a subtle hop aroma, along with a biscuit and sugar sweetness. Very nice aroma profile. The taste follows the nose with this one. Sweet honey hits the palate first, followed by a faint hop profile. There is a good backbone of sweet sugar, bready biscuit, all topped with flavor of cereal grains. The body is a light-medium thickness. The mouthfeel has a mouth coating creaminess, good carbonation, slight bitterness at the end with a sweet sticky finish. My overall view of this beer is that this is a damn fine example of a good Blonde Ale. The added Texas wildflower honey is a very nice touch, adding a sweet element to this already sweet and light style of beer. A good Blonde Ale like this is good to drink at anytime during the day, morning, noon, or night. It can go with any meal you are eating. Finally, it is a great beach beer, or beer to enjoy while being outside. If you are in the great San Antonio area, then please visit a local bottle shop or nearby bar, like Big Hops (shameless plug!) and pick up some Shady Oak Blonde. Metal Connection: What a way to bring my two loves together, Metal and Beer. I love working on this site as I get to be creative and try to find Metal songs that pair well with the beer I am reviewing. This here review had an easy find through the Metal database. 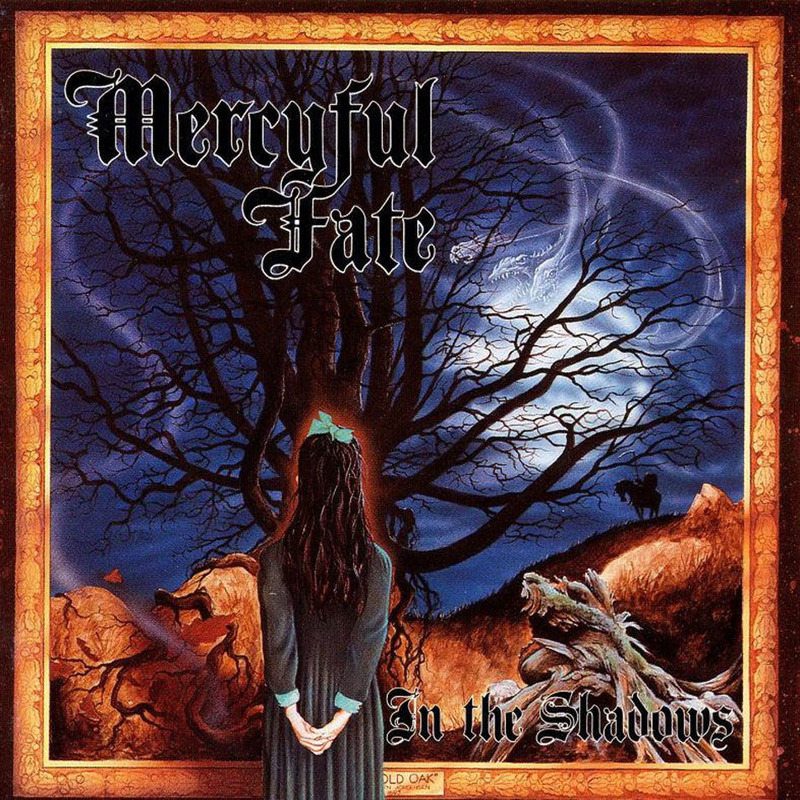 I knew there were many songs, album names, and even band names that used the word “oak”, but the first song that came to mind was this classic song from one of the Metal Gods, King Diamond and his band, Mercyful Fate. I give you “The Old Oak” from the band’s 1993 full length album, In the Shadows that was released on Metal Blade Records. I know that King’s voice isn’t for everybody, and there are a lot of Metal fans out there who do not like anything he has ever released either with Mercyful Fate or his own King Diamond band. For me, I was an instant fan, and love the music he releases. His lyrics are always dark and tell a tale, very storybook-like. Enjoy this classic from my High School days. Love getting reviews from you. Thanks for the kind words man.